As part of its work in assisting veterans and their families, Yass Valley not-for-profit organisation, Remount, has joined forces with Lockheed Martin to support the Kookaburra Kids Foundation. A group of 40 children from the Australian Kookaburra Kids Foundation, which has a stream dedicated to children from serving and ex-serving Defence families whose parents are affected by mental illness as a result of their service, visited the Remount property outside Canberra for a day of farm experiences including horse rides, sulky rides, bush games and hay rides. Chief executive of Lockheed Martin Australia New Zealand, Vince Di Pietro AM, CSC, said Remount provides an important service to former and serving defence force personnel and their families and children. "The Remount program and its team is terrific. It makes a real difference to the health and wellbeing of its participants," Di Pietro said. 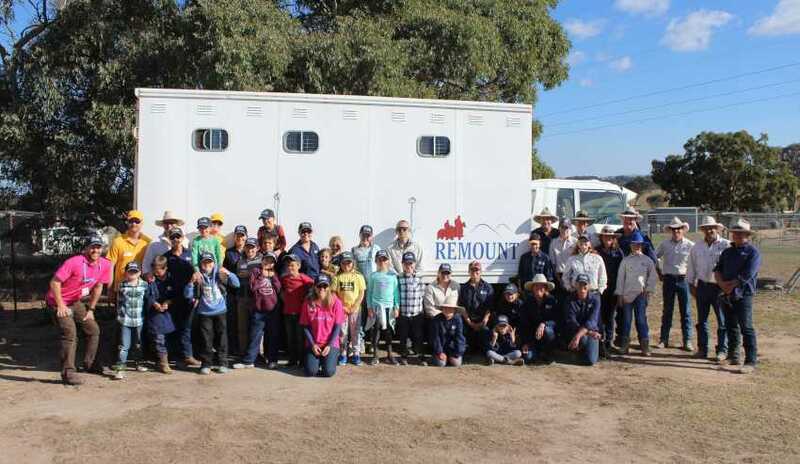 "We are thrilled to be a part of Remount and delighted to help it grow and deliver more programs that have such a positive impact on our returned servicemen and women and their families through vocational, counselling and horsemanship training." "After a successful 2017, we’ve had incredible demand this year and this support from Lockheed Martin Australia has enabled us to purchase additional horses and kit to be able to meet that demand," said Ben Maguire. "Our aim is to give our Kookaburra Kids and the Legacy Youth a fun day out, lovely memories and great experiences." Remount is delivered at no cost to current or former serving members of the Australian Defence Force. The two-, three-, and four-day Remount programs include onsite accommodation, catering, tuition and work shirts.